" Always on the side of those who make a difference "
Madrid, April 28, 2015. 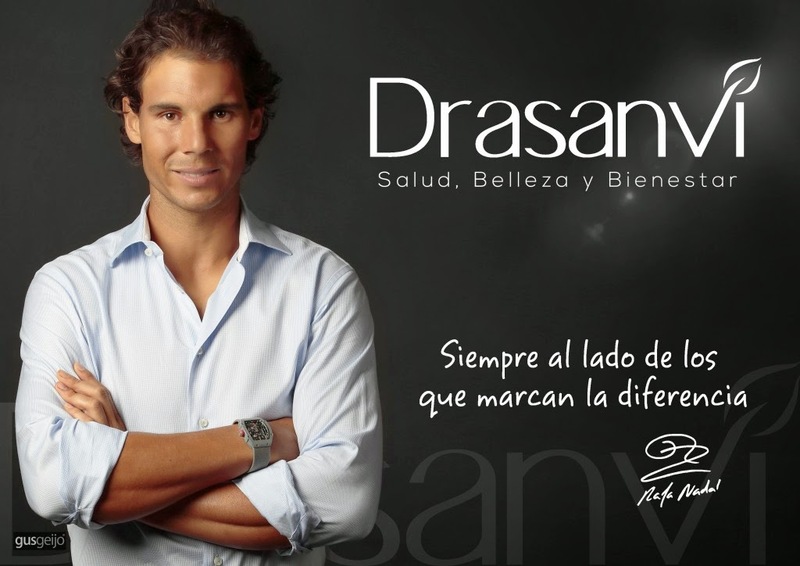 - The tennis player Rafa Nadal has been chosen as the new international image of the Spanish company Drasanvi , a leading manufacturer of food supplements that improve health, beauty and wellness. Rafa Nadal, international athlete who has always made ​​a difference , is renowned for its innate values ​​that make it unique: effort, professionalism, work, humility and perseverance. This ideology is what has led to Drasanvi to choose him as brand ambassador, as the company is proud to lead the market of food supplements guided by the same principle: make a difference.